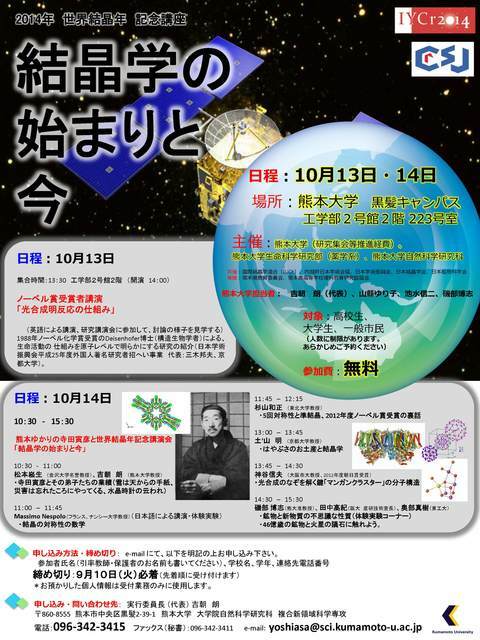 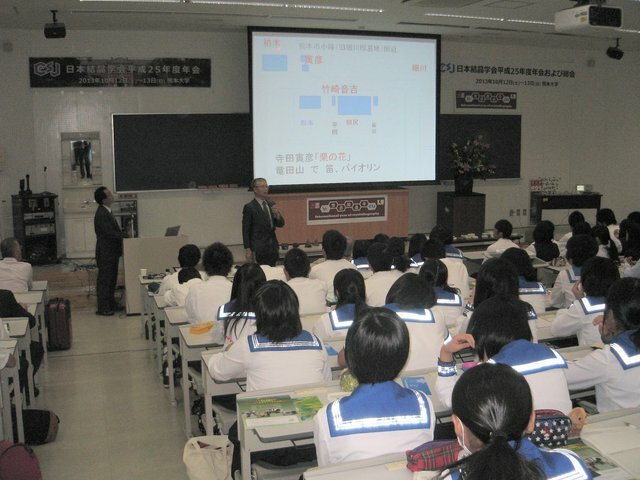 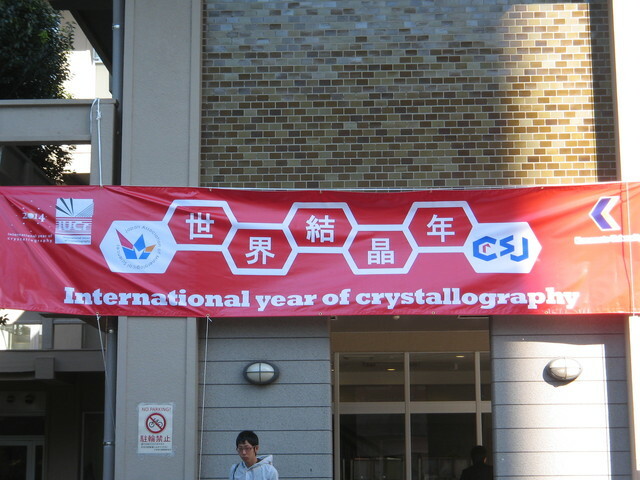 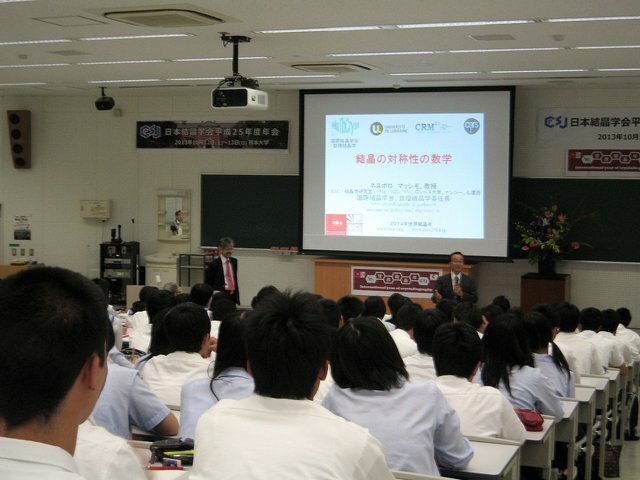 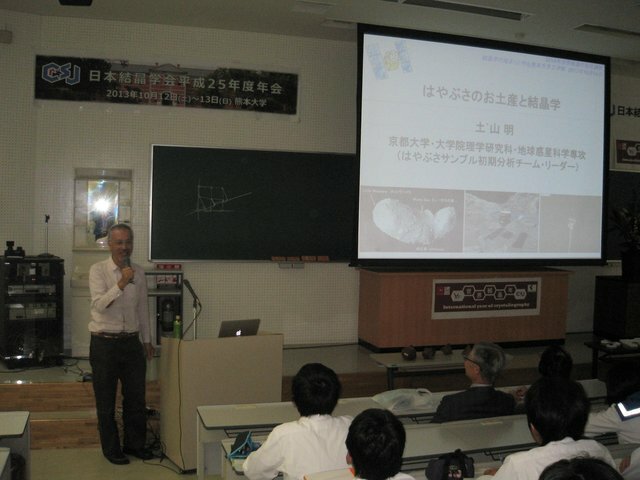 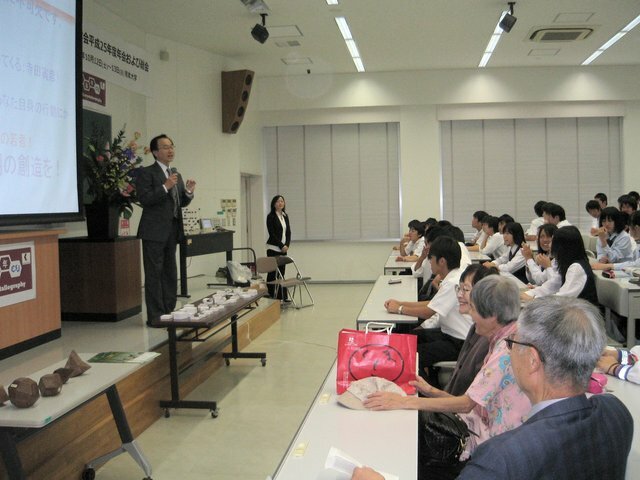 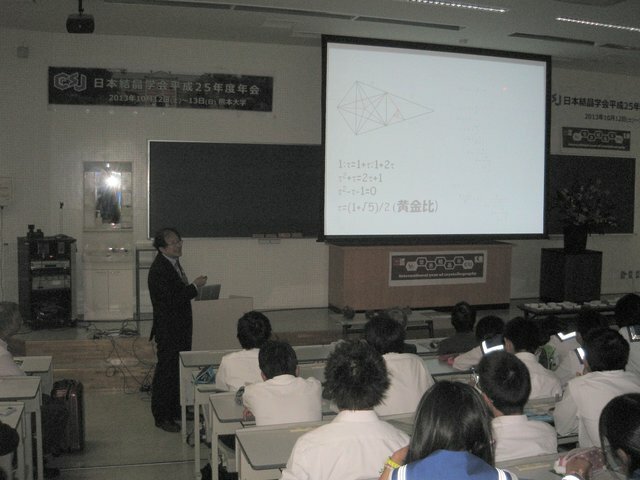 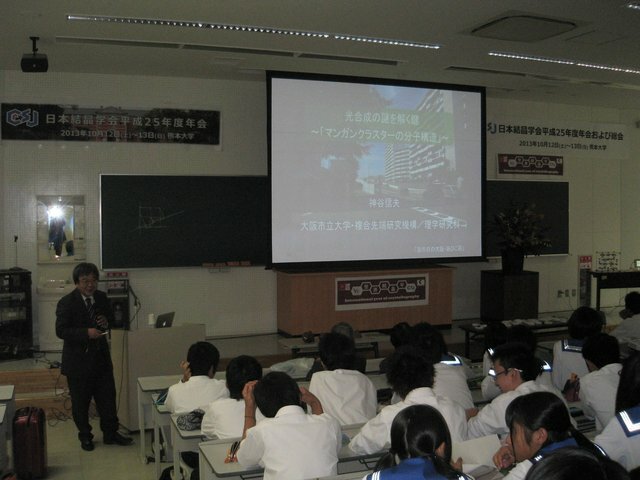 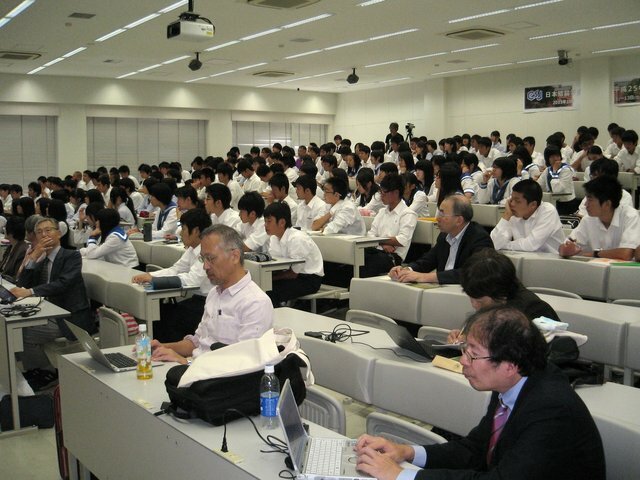 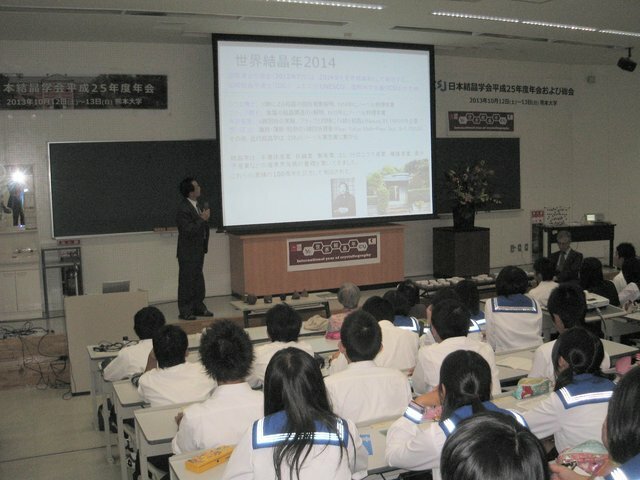 The 2013 Annual Meeting of the Crystallographic Society of Japan took place on the Kurokami Campus of Kumamoto University on 12 and 13 October. 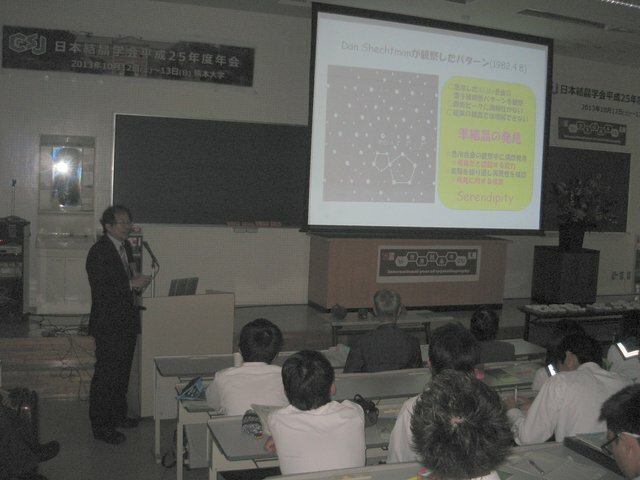 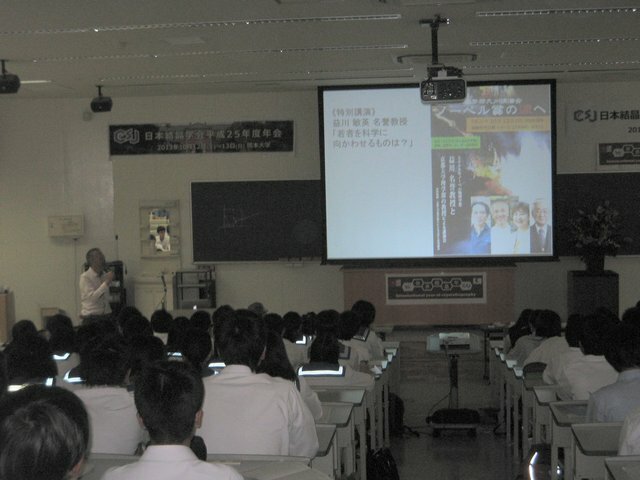 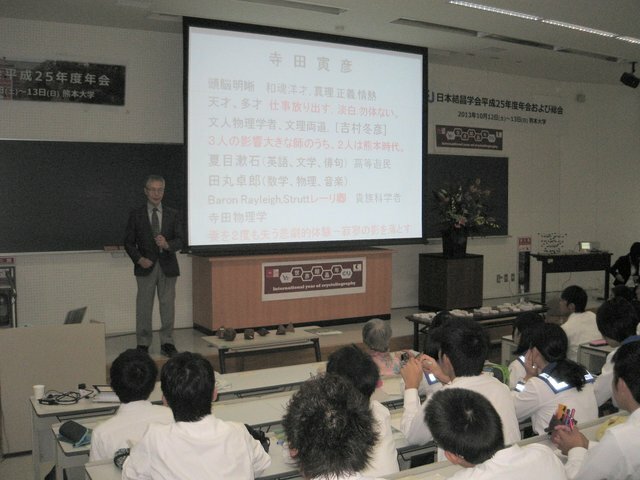 It was followed by a one-day special event, 'Crystallography Now and in the Beginning', consisting of public guest lectures and training sessions to celebrate the International Year of Crystallography 2014. 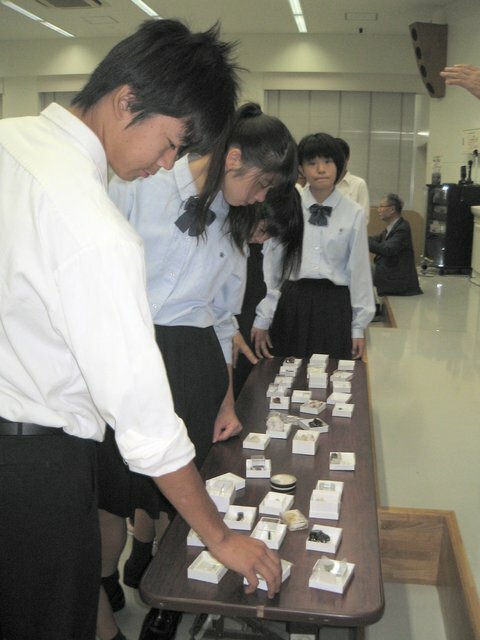 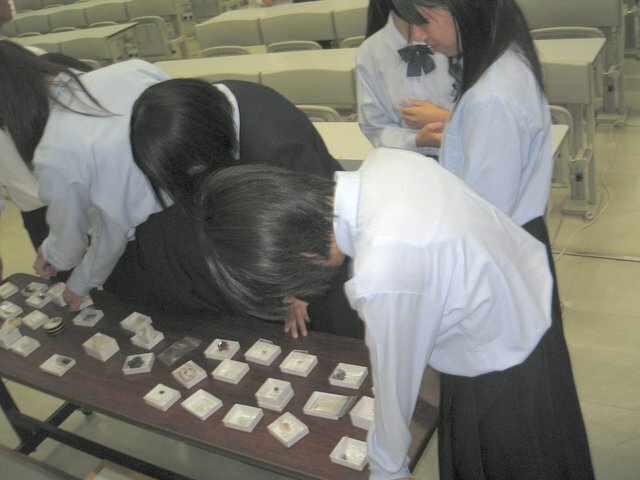 Around 200 members of the public, mostly high-school students, attended a wide-ranging series of lectures and enjoyed practical sessions with crystals, wooden models, microscopes, and oscilloscope to test quartz piezoelectricity. 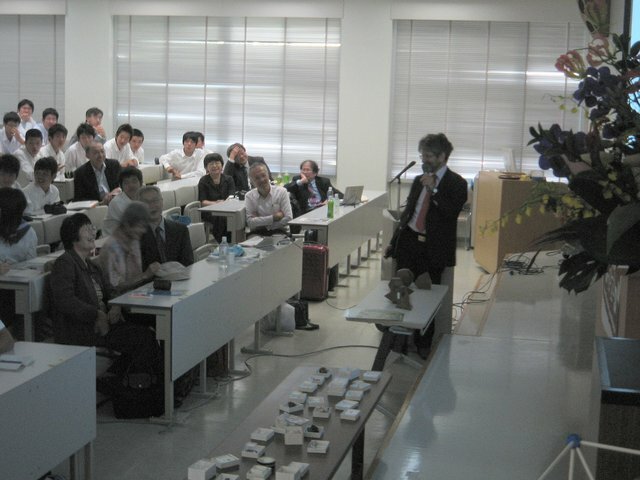 Akira Yoshiasa (speaking), Maki Okube. 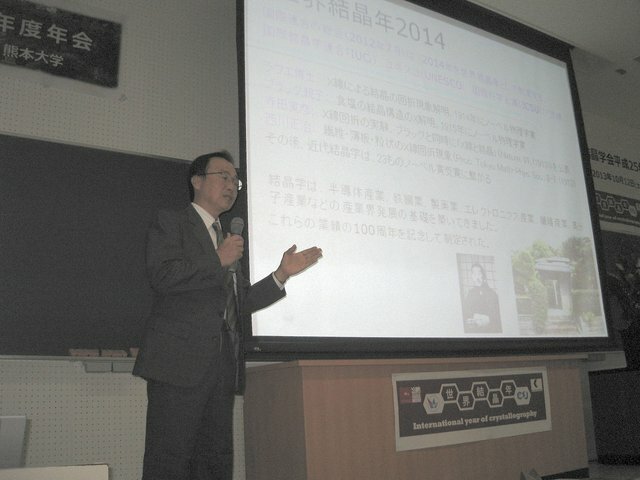 Takeo Matsumoto on Torahiko Terada, pioneer of X-ray diffraction. 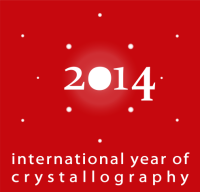 Massimo Nespolo on the beauty of symmetry. 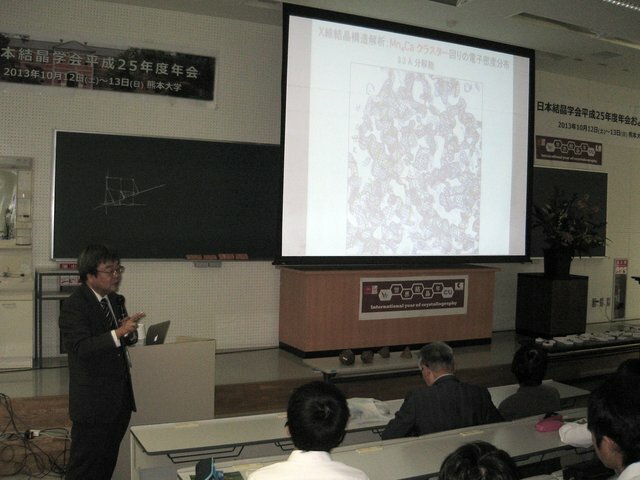 Akira Tsuchiyama on the crystallography of samples returned from JAXA's Hayabusa unmanned spacecraft. 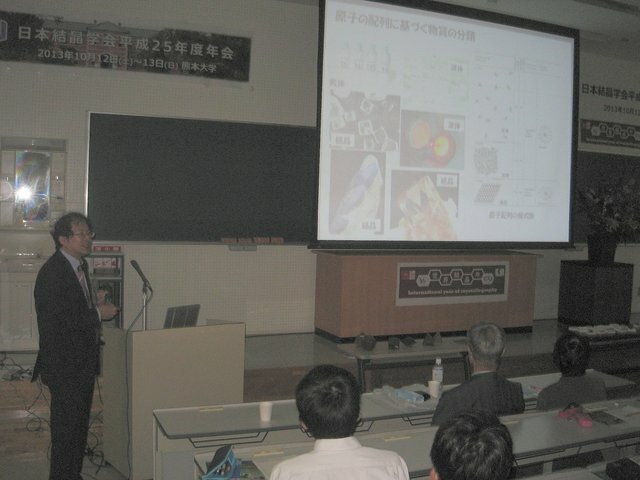 Nobuo Kamiya on the molecular structure behind photosynthesis.